Central Fitness offers you exclusive access to a state of the art equipment. 250 Station Gym, Fitness Studio offering over 60 classes per week. 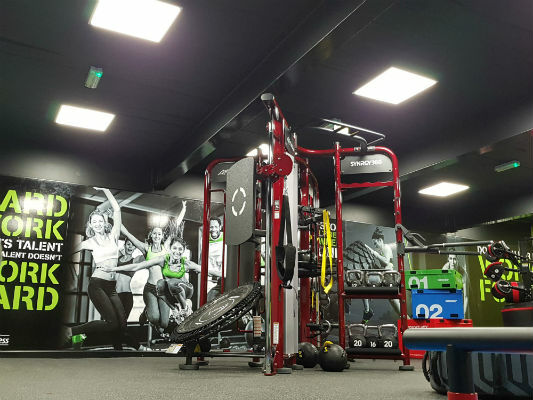 Based in the heart of Accrington, our facilities are designed with the right atmosphere to motivate you in achieving your fitness goals. With state of the equipment, exciting classes for all levels of fitness, and our own in-house trainers available for intro sessions and advice, you’re sure to find your time with us beneficial to your health and well-being. If you’d like to try our equipment on the gym floor, or try one of our classes, please fill in the form below and you can come and see all we have to offer. Want bring a friend or family member for free? No problem, fill in the below with their details!